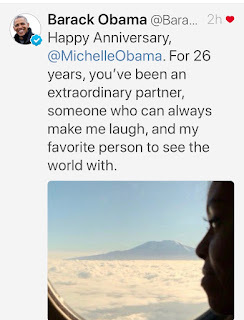 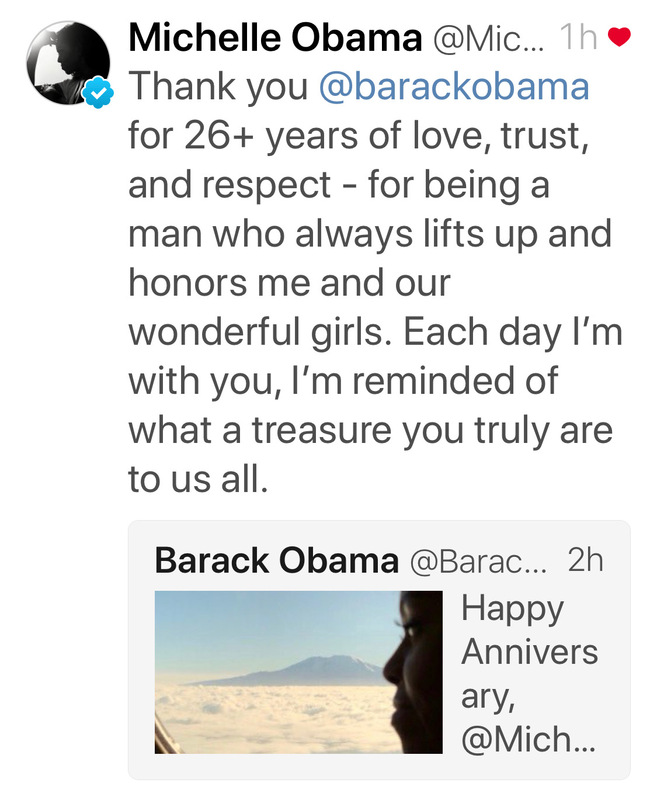 Yesterday, President Obama and his wife, Michelle, celebrated their 26th anniversary. 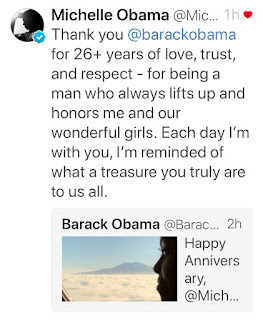 These were their tweets to each other. 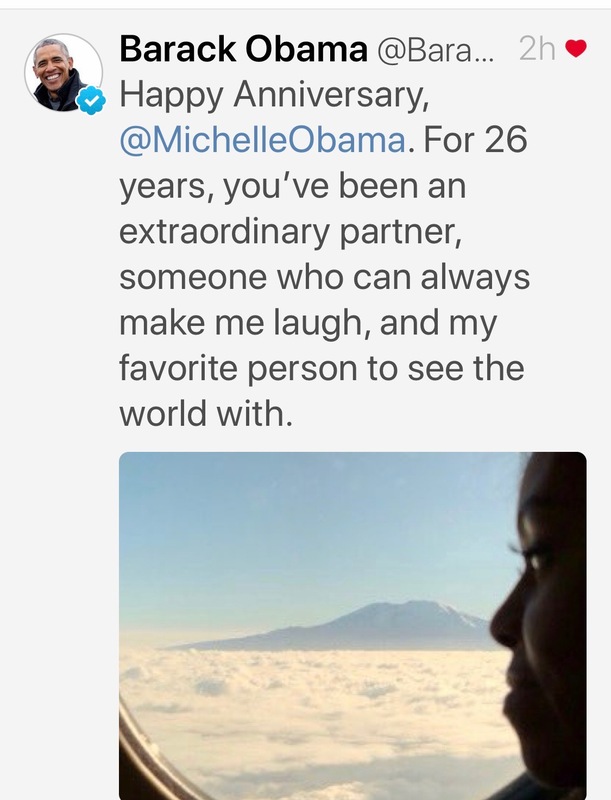 If this isn't a relationship goal, I don't know what is.